It’s been over three months since Bungie cut its ties with Activision to gain sole ownership of the Destiny IP, and any future sequels to Destiny 2, but the publisher behind Call of Duty: Black Ops 4 and Overwatch may not have been the only corporate entity the studio came up against during development of its first-person shooter series. 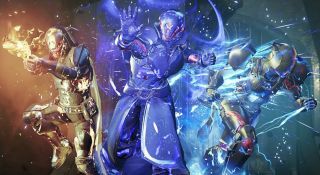 Sony has garnered a reputation as being relentlessly against the idea of cross-play and cross-platform progression, so the notion of it pouring cold water over Bungie’s plans certainly checks out with the company’s recent history. Over the last year or so, Sony has enabled PS4 cross-play on certain games like Fortnite but, next to the likes of Microsoft and Nintendo, the PlayStation nation is still leagues behind the curve. Luckily, Schreier’s comments suggest Bungie now has the freedom to enable character transfers for any future Destiny products, as it is now one of the biggest independent game developers in the industry. The studio hasn’t announced anything as of yet, as it’s still running through its year two roadmap for Destiny 2, but perhaps – in five years time – we’ll be creating our Warlock Guardian on a PS5 and preparing them for an endgame raid on the Xbox Project Scarlett. Stranger things have happened, after all. Destiny 2 is on our list of the best FPS games to play right now. Find out what else made the cut, or watch our Release Radar video below for a bitesize update on the latest in gaming and entertainment.